I received a Bachelor of Arts in Psychology at the University of Washington in 2003, and in 2007, I completed my Doctor of Dental Surgery degree from the University of Washington School of Dentistry. Through my studies at the University of Washington, I was able to receive some of the most current knowledge and up-to-date skills concerning dental health and technology, while also making valuable connections throughout the local dental community. After graduation, I spent six months doing dentistry for various community clinics in the surrounding Puget Sound area before finding a permanent dental home with Dr. Craig. Currently, I am an ADA and WSDA member and a participant in local study clubs, including Premiere Study Club, Burien Study Club, and South Sound Multi-Disciplinary Study-Club. Within these organizations, I partake in discussions and lectures on some of the hot topics of the dental field. Additionally, I have been active in pursuing continuing education in subjects such as advanced Cerec training, Invisalign, comprehensive treatment planning, implant restorations, updates in restorative techniques, soft tissue laser technology, and dental leadership. Within the practice, I enjoy helping patients obtain and maintain a stable, healthy, and good looking smile. I take pride in being an integral part of my patients’ health. I am a native of Kingston, Washington, and enjoy returning home to visit my father, Chris, at the home where I was raised, or going to visit my mother, Kathy, in Indianola, Washington. My brother, Peter, and his wife, Libby, are currently living in Austin where he is completing his residency in pediatric medicine. I also have many other family members residing in the Pacific Northwest. My grandparents live on Lake Roesiger, a great spot where our family spends a lot of time. Since 2009, I have lived in my house in West Seattle. I am an avid traveler and have taken multiple trips throughout Europe and Mexico. I have traveled extensively throughout the United States and British Columbia and have adventured to Thailand and Peru. Additionally, I enjoy music and attend many concerts and music festivals throughout the Pacific Northwest. 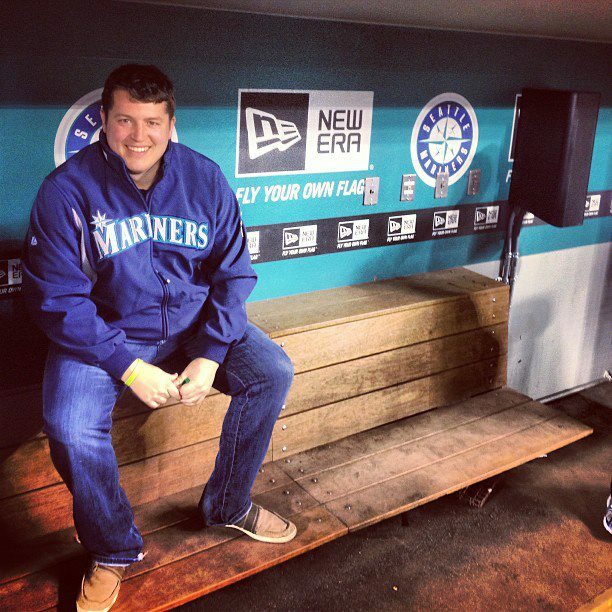 I am a loyal Seattle sports fan, and from the stands or at home, I can be found rooting on the University of Washington football and basketball teams, the Seahawks, and the Mariners. I also try to stay as active as possible. I play on multiple softball teams and enjoy snow skiing, wakeboarding, golf, boating, and fishing. Most importantly, I value the time spent with family and friends.